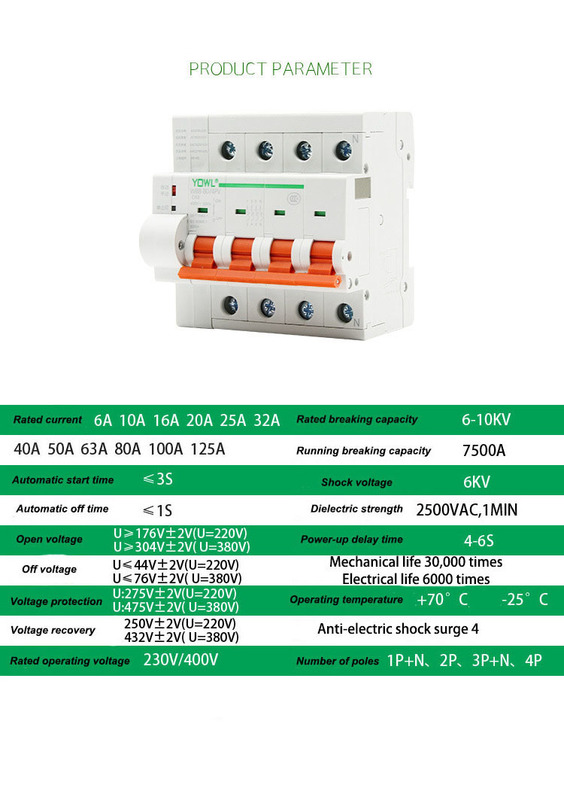 Automatic switch off in the case of blackout.。50Hz,Rated operating voltageAC230V(1P+N,2P)、AC400V(3P+N,4P)Rated current6A-125AThe circuit is automatically divided and closed in the circuit. 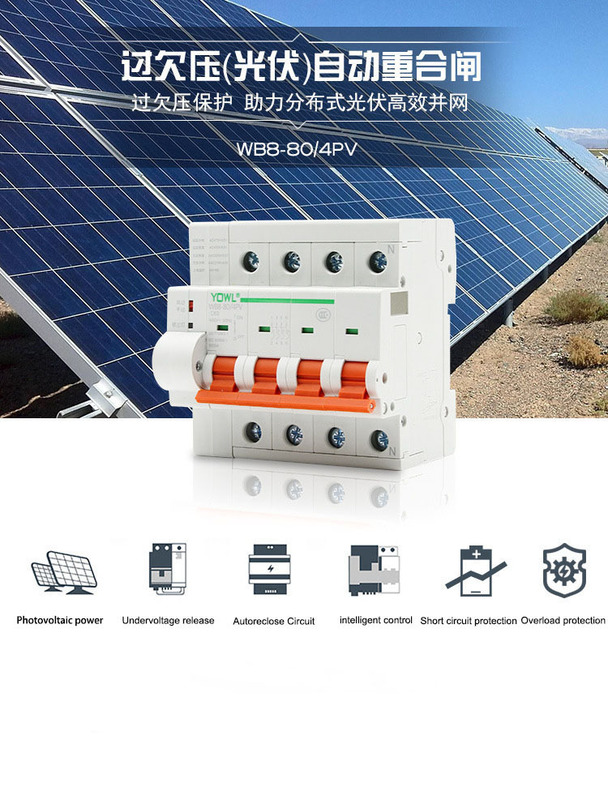 This product is widely used in photovoltaic and power grid system, when the power supply circuit breaker to realize automatic reclosing of electric and photovoltaic power generation in parallel, when the city electricity power after the circuit breaker automatically disconnect blocking electricity and photovoltaic power in parallel (common parlance: electric switch, no electrical disconnect, and difficult to access for personnel) the occasion, maintenance personnel can not be put in place. It can also be used as an infrequent operation of the line. 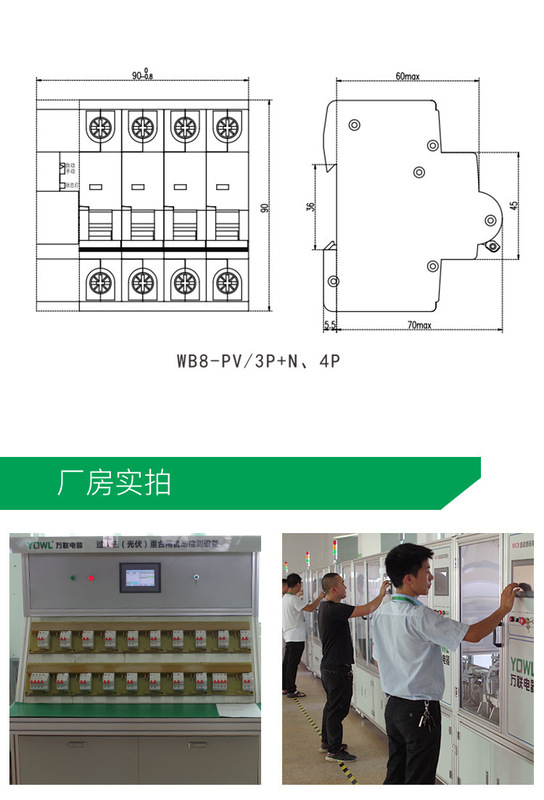 Automatic mode:Automatic closing of the circuit breaker under the condition of the main circuit.,Automatic switch off in the case of blackout. 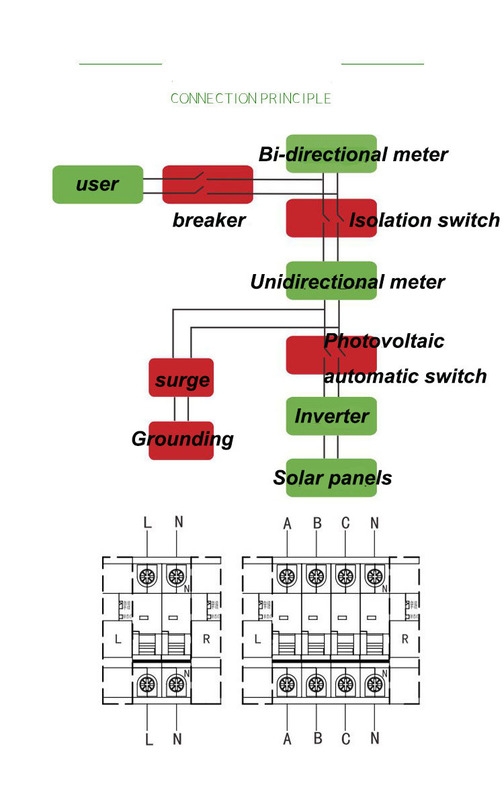 Manual mode:When the main circuit has electricity, the circuit breaker automatically adjusts the state of the switch. It will not automatically switch in, for the maintenance of the circuit and the safety and maintenance of the maintenance. 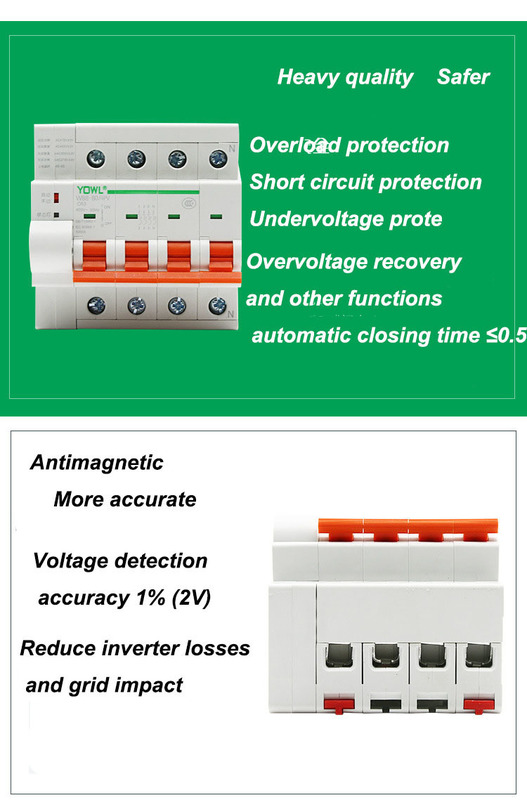 1.With overload protection, short circuit protection, overvoltage protection and overvoltage recovery workCan. In case of failure, the closure is prevented, and it is safer to use. 3.It is more reassuring to have three invention patents. 4.After the product is shut down, the line is faulty. 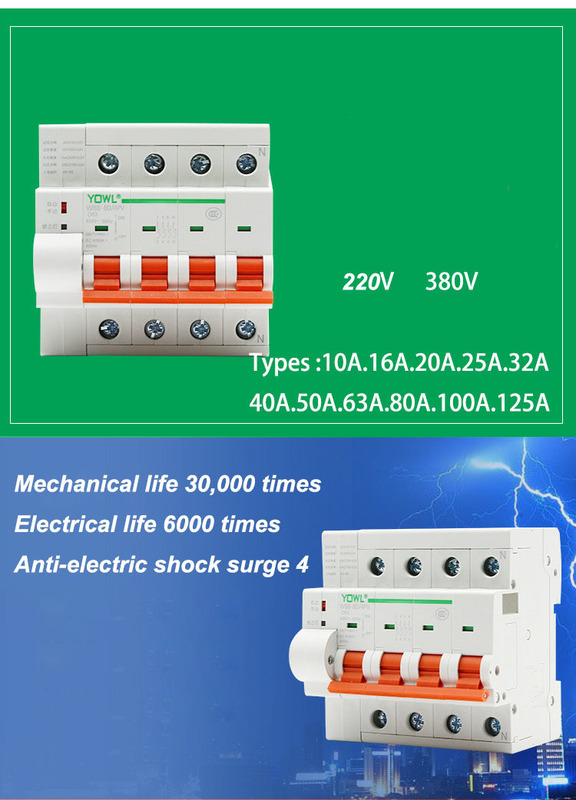 It can quickly switch off, ensure the electricity safety, and the contact of the circuit breaker is always completely disconnected or completely closed, so that it can avoid the contact caused by the fault to stay in the middle of the open or close action, causing a safety accident. 6.Convenient installation, dimension width monopole18mmControl part and circuit breakerPart of the same height,Guideway installation,Interchangeability. 7.The shell and components are made of high flame retardant, high pressure resistant and impact resistant plastic. 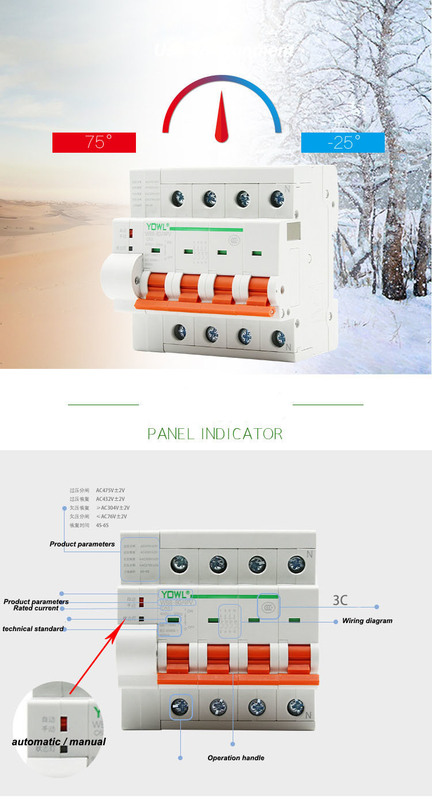 8.The product has a red control signal status lamp on the front, when the voltage reaches the rated closing voltage, the state lamp is bright; when the voltage is less than the rated voltage, the status lamp is out, so as to identify the current control state of photovoltaic reclosing.